I just got a new pen and so in love with its smoothness. It's Pentel EnerGel Tradio gel ink. The one I used is black but they also have blue, red and purple ink. 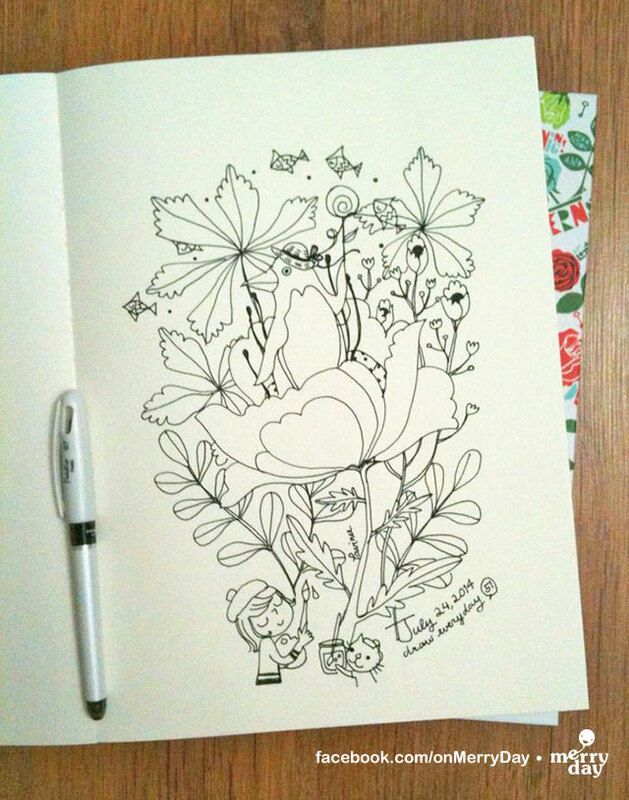 The drawing I show here is one of my draw everyday project. I have already got to drawing no. 51. All the drawings are kind of everywhere right now. I will have to put them all in a proper place soon. But you can follow my everyday drawings on instagram or facebook. The idea for this drawing really came out of nowhere. I love drawing plants and flowers. Then I thought what if I put something totally unrelated in the flower? How about penguin? It must be fun to have him holding a lollipop with fishes flying above ( I got the flying fish idea from a children's book laying beside me at the time). And here is the color version. I have to say white paper seems to be more intimidating than kraft paper. I was a bit nervous when choosing colors. 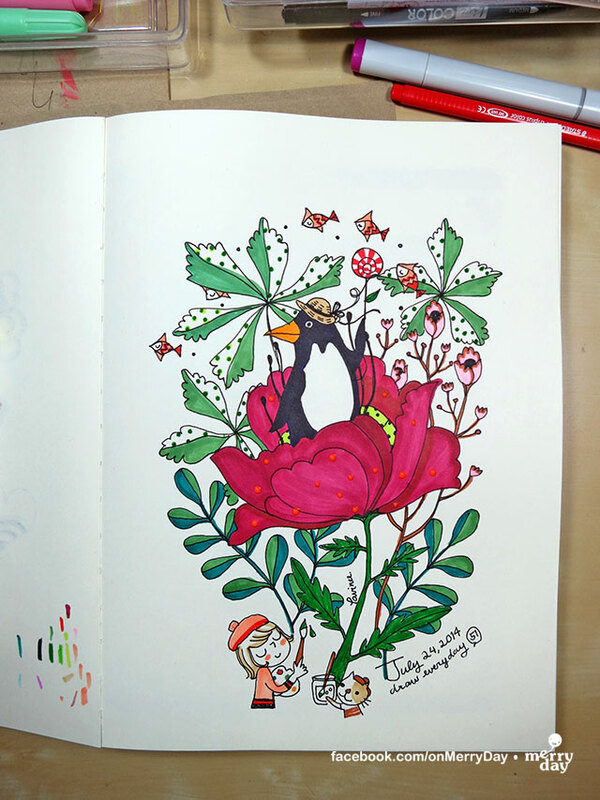 I imagined I would have more bright and colorful colors but then I changed my mind and just wanted to have the penguin and the flower popping up from green surrounding. Love how it turns out. How about you?